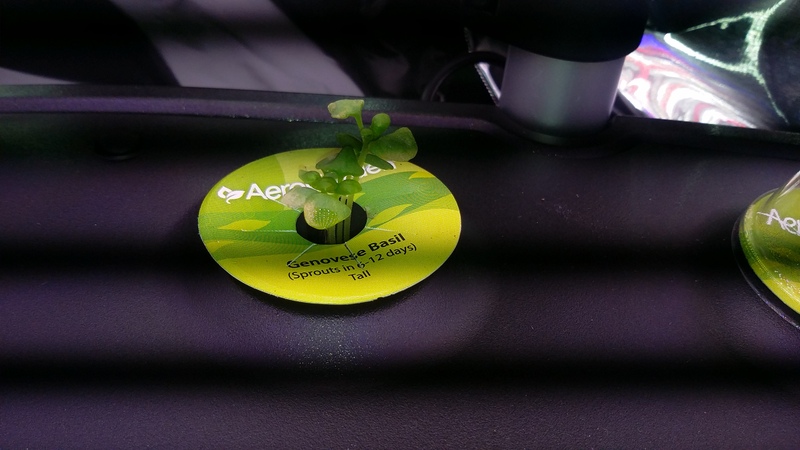 My basil is coming up well (10 days) however they have these light brown spots on them. Can anyone suggest what this might be? It's on both basil plants only. 1/2 strength is definitely enough for seedlings to germinate. But most important to understand - more is not better. A little extra nutrient is enough to kill leaves. And unless it's distilled or came out of a reverse-osmosis purifying system, there is already stuff in your water. That stuff is useless to plants - but if there's a lot of stuff (usually calcium carbonate), you need to cut back on nutrients. I used what the instructions called for two capfuls. Did not seem very precise to me. I will dump, refill and add new nurients (two capfuls) . Is one capful enough......3 still have not sprouted? Looks like nutrient burn. Meaning that the reservoir is likely too concentrated with nutrients and/or chemicals dissolved in your tap water. Best to dump and refill, with the best water you can manage. If tap water is the best you can, use less nutrients than you've been using. You did use 1/2 strength nutrients for seedling stage, I hope.